Avengerville: Part Three – THE Day! OVERALL: Wow. This movie is intimate and powerful and left me breathless. I wanted to start hiding long distances the minute the credits started to roll. See it. POINTS: The thing is this movie is a perfect “experience.” You feel it in your bones and breath. Just see it. I would also suggest you read the book. PITFALLS: Hmmm… Not sure. I know that I will be filled with RAGE if either Reese Witherspoon or Laura Dern are denied their Oscars. Rage. 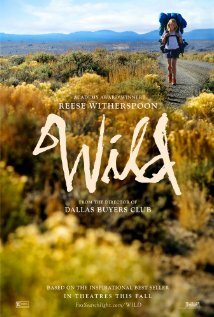 FEMALE CHARACTER(S): This movie is about Cheryl Strayed perfectly played by Reese Witherspoon. She is a woman who, for lack of a better term, is rising above herself and trying to make herself a better person. I know that sounds trite but it is not. It is a real soul journey that is visceral, exhausting, and fulfilling. Oh heck just go see the movie. Plus huzzah to Laura Dern for her impeccable portrayal of Strayed’s mother Bobbie. HIGH POINT(S): All of it. The stillness of this movie was amazing. I could feel the “wild” in the movie and also Strayed’s exhaustion with her walking. I could feel myself breathe with her. It was an amazing experience. BECHDEL TEST (Website): 3 of 3. Great scenes between Cheryl and her mother, masterfully played by Laura Dern. BOOK TRAILER: Hear Cheryl Strayed talk about her book and her experiences. Also shows pictures from her life and journey. Chick Flicking Reviews – On Tumblr! Geek Feminism Blog – They sometimes talk about movies.